Our 2 Villas, Kusini and Kaskazi, are set on the crest of the hill apart from the hotel’s main guest rooms. Each villa is laid out on 3 floors with 2 bedrooms and en-suite bathrooms, a roof terrace and a private swimming pool, set amidst a tropical garden. 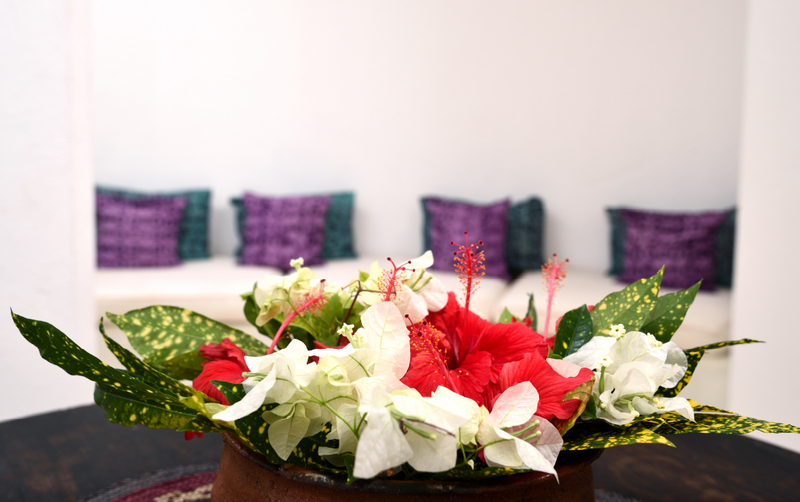 They are furnished with stunning traditional Zanzibar furniture and batik linen. 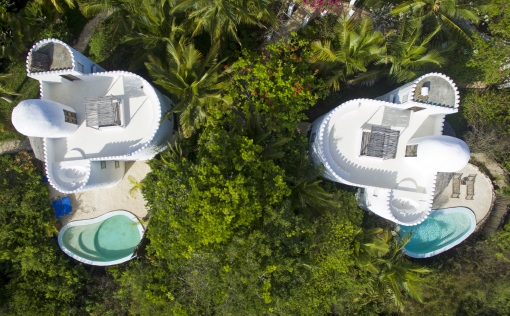 From the roof of the villa, panoramic 360 degree views sweeping across the coral reef and the island interior, can be enjoyed from the many sitting areas. There is also an inbuilt tub to enjoy a romantic bath and a fully netted bed so that the fabulous star filled night sky can be enjoyed. 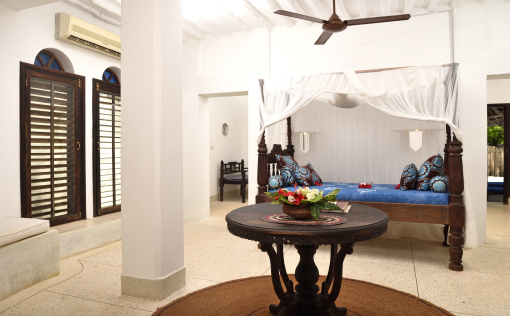 Both villas have ceiling fans as well as being fully air conditioned. Tea/Coffee facilities as well as a mini-fridge are available in each Villa.